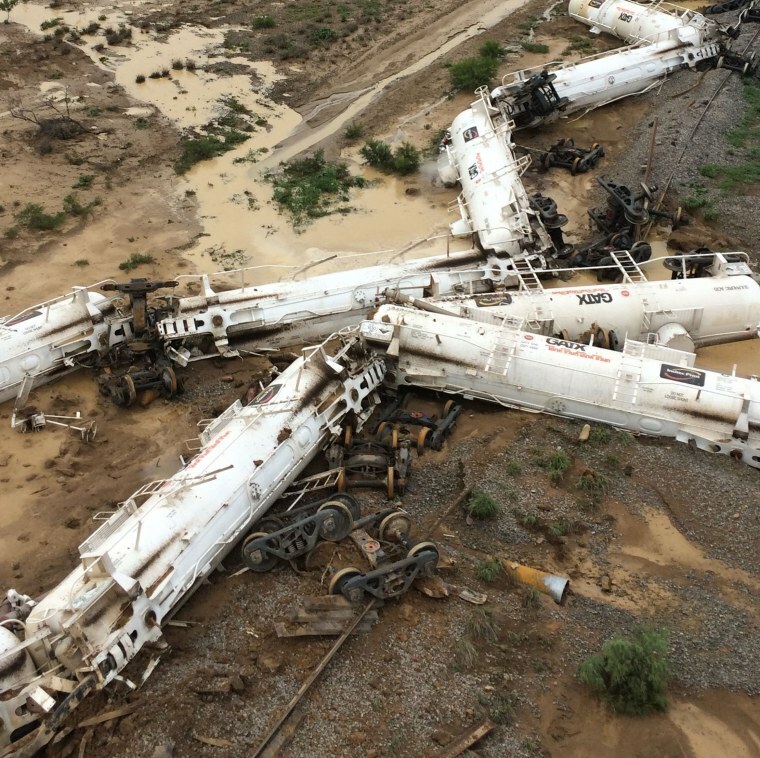 Police have declared an emergency after a train carrying sulfuric acid derailed in a rural area of northwest Queensland, Australia. Authorities set up a two kilometer "exclusion zone" around the site following the spill Sunday morning around 12.5 miles east of Julia Creek. A local highway was also closed between the two nearest towns — Julia Creek and Richmond — on either side of the spill.